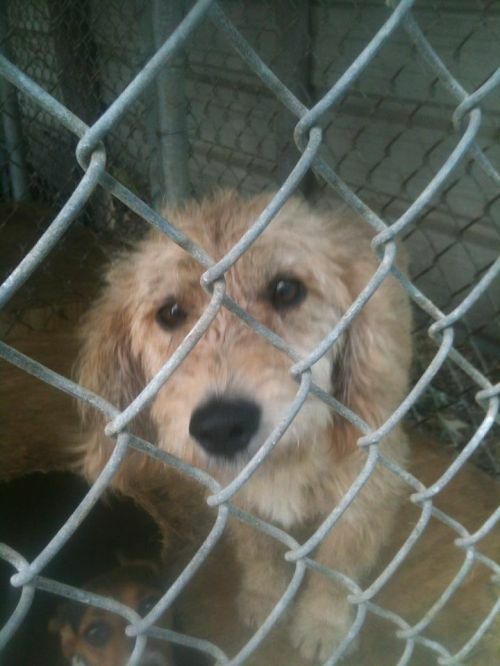 Look at those eyes...begging to get out of the High Kill shelter in the south. One look and we knew he was destined to have a wonderful forever life. Will that life be with you? He is being fostered and getting a well pampered grooming. His frown will soon turn into a smile. Age is approx. 1 1.2.........still a puppy and can certainly use a good trainer to make him all the dog these doodles are meant to be.